Smart for Your Home & Smart for Your Business | West Coast Solar, Inc. Many people in the Bay Area and Sacramento region know about the benefits that solar can offer their home, but they might not be as clear on just how solar could be used to improve their business. If you’re a business and property owner, it’s time to learn more about how solar can make your life easier. Solar is that better way. While solar was cost prohibitive in its infancy, it has evolved to be highly-efficient and much more affordable. 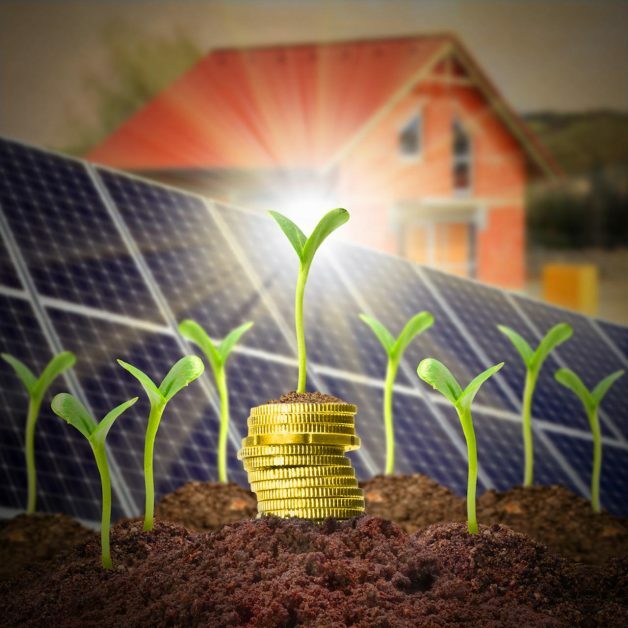 In fact, there are even various incentives in place to help reduce costs further, so that investing in your business to reduce future operating costs with solar is even simpler. Most businesses can expect to reduce their electricity bills by approximately 75% and will protect themselves from volatile energy rate changes. You might have heard that homeowners who go solar can take advantage of a 30% federal tax credit. Well, that same tax credit is available for commercial solar installations. However, it won’t be around forever — so the sooner you make the switch, the sooner you can get that money back. In addition to receiving the federal tax investment credit, in most cases, your business can deduct 85% of the value of the solar system from its taxes. This will allow the initial cost to be offset quickly, so you can start seeing the return on your investment soon after installation. On top of the reduction in operating costs and available incentives, installing solar for your business also has some additional benefits. Being dedicated to sustainability through solar energy can help you attract more business from customers who have similar values. In a world where each marketing advantage matters, solar can provide your business with another unique differentiator. At West Coast Solar, we’re local, so we know just what your commercial property in the greater Sacramento & San Francisco Bay Area might be dealing with in terms of energy costs. We’ll work with your property and budget to make sure you receive the highest quality solar installation to reduce your operating costs and enhance your business. Do you want to learn more about how your commercial property could benefit from solar? Contact us or call (877) 694-0723 to speak to one of our experts today.